One of the more prominent producers of smartphone devices is without a doubt HTC. While having leaned heavily on Windows Mobile before, it was the first company to produce an Android device in the form of the T-Mobile G1. Ever since the Windows Mobile days HTC has been keen to adjust or complement the mobile platform through means of its ‘TouchFlo 3D’ implementation. On Windows Mobile and, to a greater extent, Android, the manufacturer has continued this tradition with the release of HTC Sense, which appeared first on the companies’ Hero device. Why Customize an Already Well Functioning Mobile Platform? Although the three principles are ‘invented’ as a marketing strategy by HTC themselves, they do describe the essence of ‘Sense’. The ‘make it mine’ Principle is based on offering extended customization options for the end user. 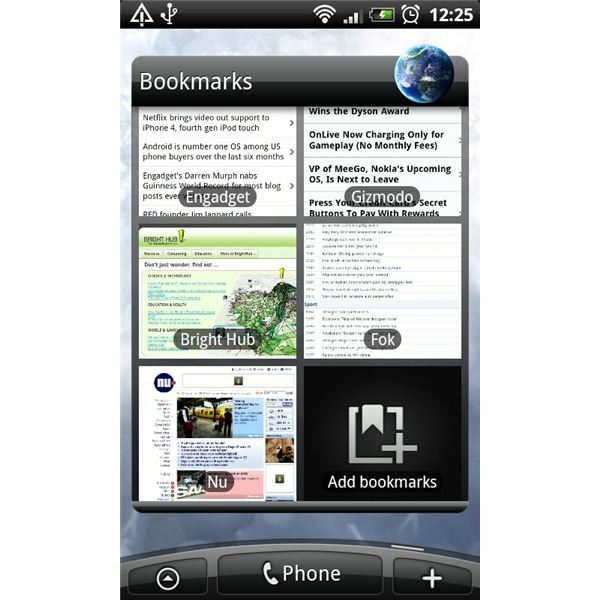 ‘Sense’ is an enhanced version of the complete Android platform. This becomes immediately evident on the home screen, as there are seven of them. For those that still feel limited by these seven screens Sense offers ‘scenes’. 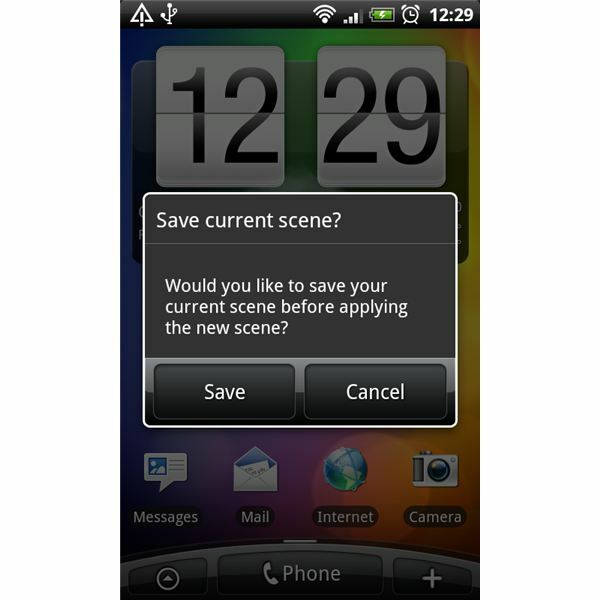 Through ‘scenes’ users can compose sets of home screens that are each fit for a different situation. Through Sense users are able to quickly bring up a particular ‘scene’ and access their home screen set that is most relevant to the current situation. 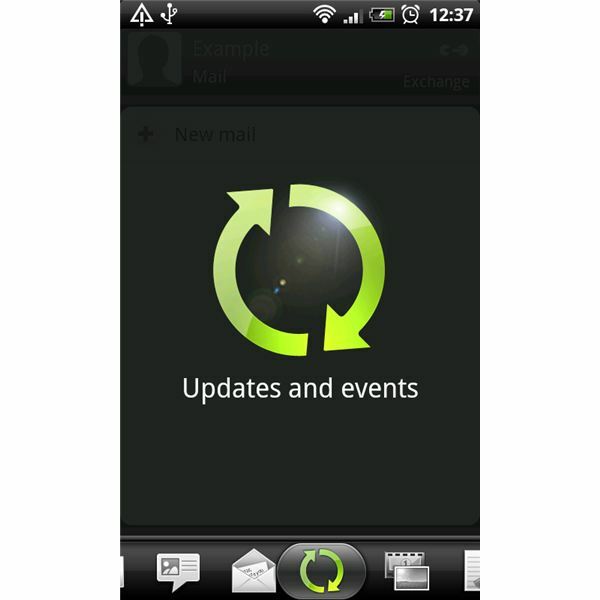 HTC Sense puts the user at the center of the experience. For this to happen, the company developed a set of widgets and applications, which are the core of the experience. Literally all the stock Android applications are replaced by their Sense-equivalents and many more are added to them. Every application also has their own corresponding widget, and some standalone widgets are available as well. 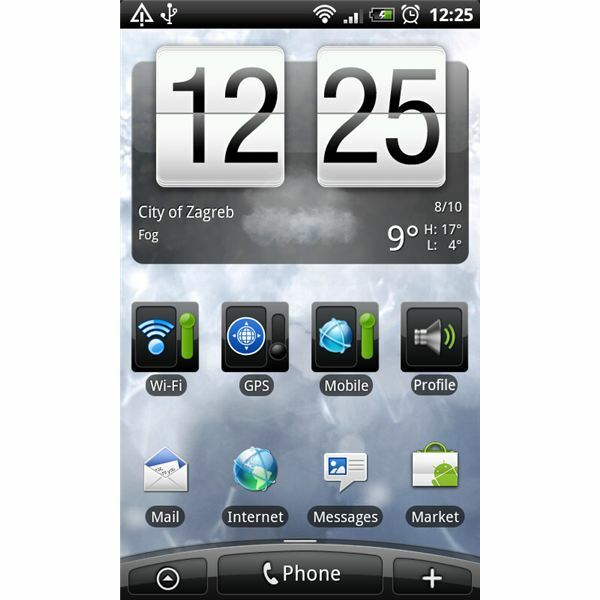 This wide selection of home screen widgets not only makes the phone a lot more appealing over the stock configuration, but also adds tremendously to overall usability of the phone. 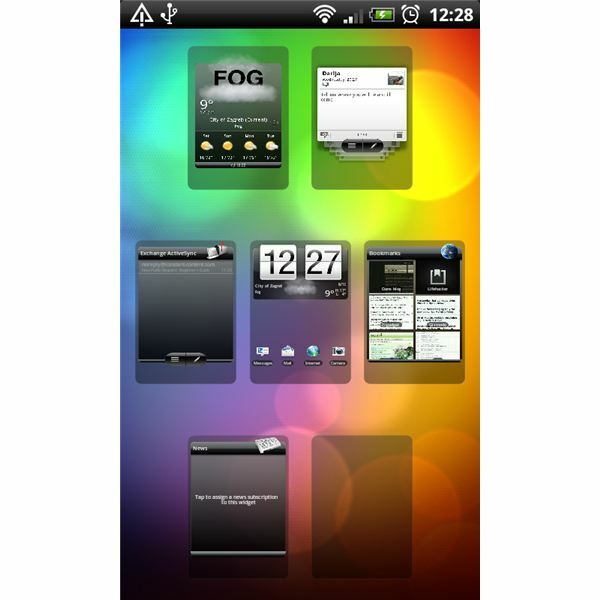 Furthermore, with such a large variety of widgets, users can customize as much as they like. With the combination of apps, their widgets, and ‘scenes’, Sense truly puts the user in the center of the experience. HTC did not replace the stock apps with Sense versions just for the sake of replacement alone. The apps do follow a certain philosophy that Sense inherited from ‘TouchFlo 3D’, which is most evident in the ‘treadmill’ function. The Treadmill is a slider available in all Sense apps, and basically the unifying element in all of them. 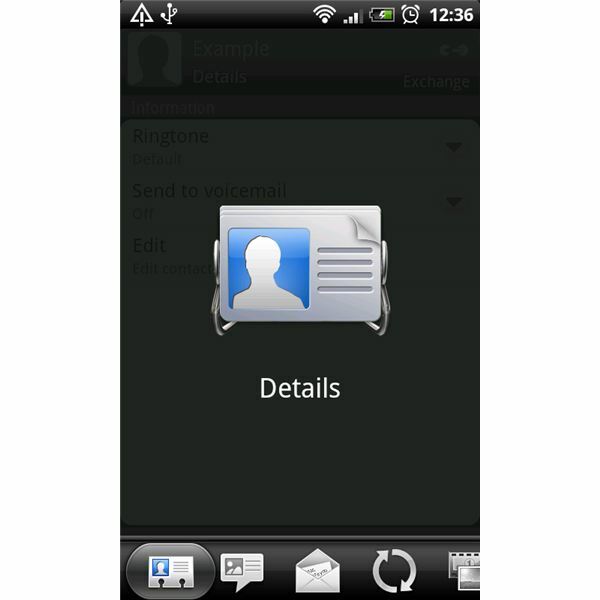 The ‘stay close’ principle is mostly based on ‘people’, which replaces the stock contacts app. The ‘people’ app is where the whole Sense philosophy becomes most apparent. 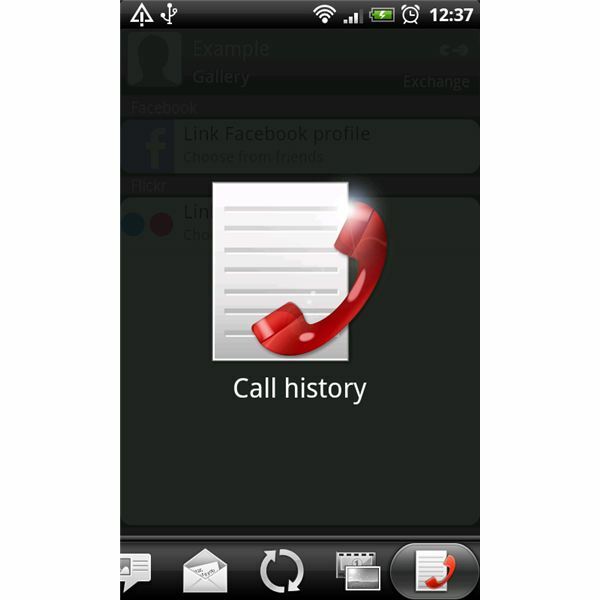 In this app all possible types of contact information can be linked to a contact. This includes Facebook, Twitter, Google (naturally) and Flickr. Sense had this feature ever since the first version, which was long before Google caught up with it. The people app however, still goes a few steps further then just this. With the treadmill, a user is able to access all recent activity and communication with the particular contact. Replying, commenting, or just staying in touch is easy, as for instance, emailing, messaging or Facebook interaction is just the press of a button away. In this case, the treadmill principle centered all the communication in one place. By the way, all HTC apps benefit from the treadmill, making the menu button in a lot of cases completely redundant. Again, ‘Sense’ truly enhances usability. The ‘Discover the Unexpected’ principle is the most abstract of all three but still makes sense (no pun intended). Right from the start HTC started adding features to Android that weren’t available to non-Sense users. In many cases they were a first of their kind. 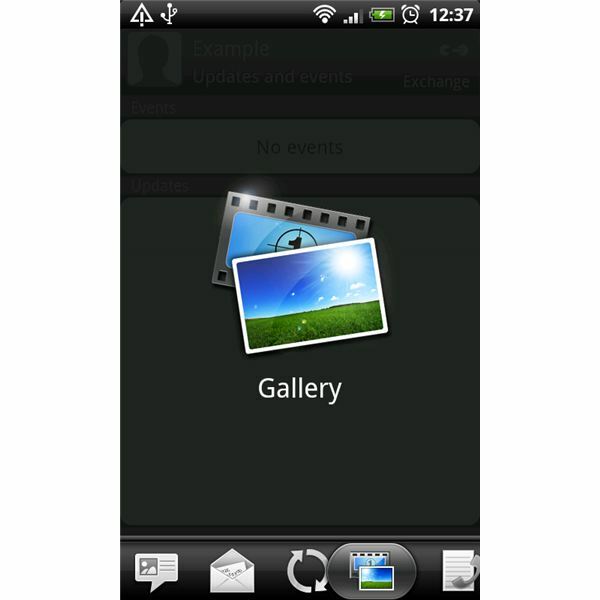 Examples are; flash integration, multitouch in both the Android and Windows Mobile platforms, and pinch to zoom out all the home screens. These examples are the public ‘secrets’ of Sense, but beyond that, many little enhancements are to be discovered still by the end user. This makes Sense a thoroughly enjoyable experience where little things keep the system ‘fresh’. HTC didn’t develop Sense without a reason and it quickly became a success. Other manufacturers have picked up on this and developed their own customization. 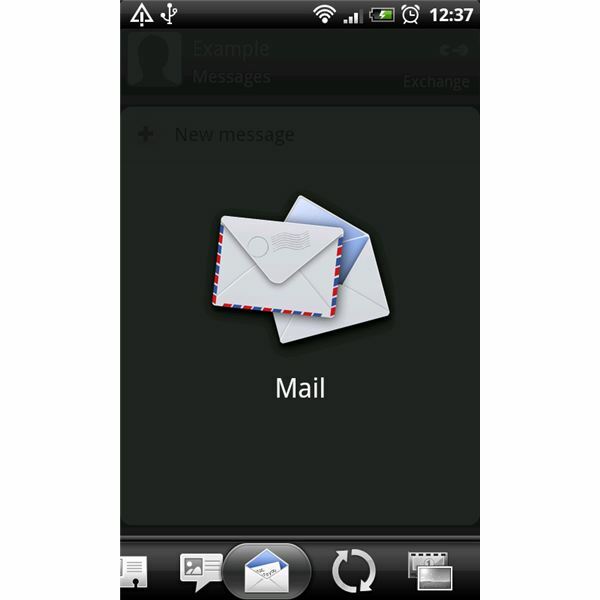 Especially on the Android platform many companies’ have their own interpretation of the system. This is how they compare to Sense. With Motoblur, Motorola tried to bring the social experience to the foreground. Like Sense, Motorola tried to unify contacts and sync them with the more popular social networks. Notice the past tense being used, as Motorola already stated that Motoblur is not their ‘focus going forward’ anymore, which is evident in the slimmed down version that appeared on the most recent of their phones. As Sense is more than just a visual overhaul, as it even amends the host platforms framework (coding architecture), the latest version Touchwiz (3.0) only adds certain aspects. Like Sense, custom scrollable widgets are added and the app drawer (in the case of Android) is replaced. Touchwiz also offers a custom keyboard in the form of Swype. Not much more is added, however, and users are not forced to use it anymore, as they did with previous versions of it. It is therefore also much easier to replace Touchwiz with stock Android than ‘Sense’. 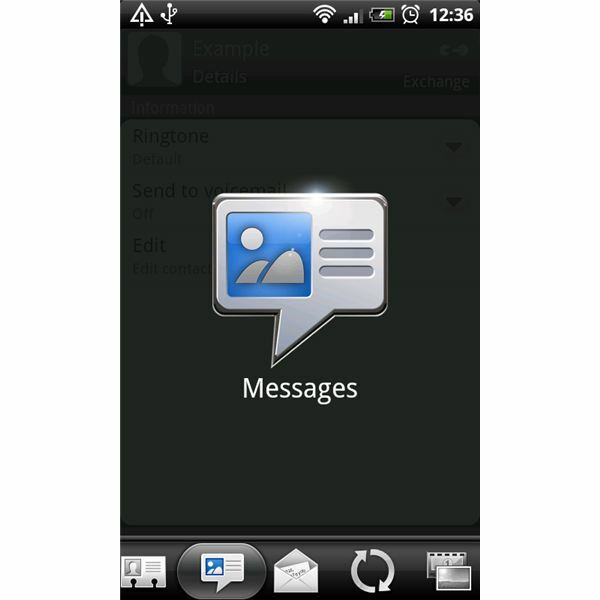 The ‘UX’ interface of Sony Ericsson is available on its Xperia X10 line of phones. Like Sense the ‘UX’ interface goes much further, and up to a certain extent the concept replaces the Android one completely. No app drawer is present at all, and the UI is almost completely based on a visual experience. The now common social network integration is also present, which also compares to Sense. However UX is by far the most far-reaching customization on Android. In Sense, users can now select different skins (once again proving Sense is not a ‘skin’ by itself). An even wider range of widgets. New maps app, usable offline. 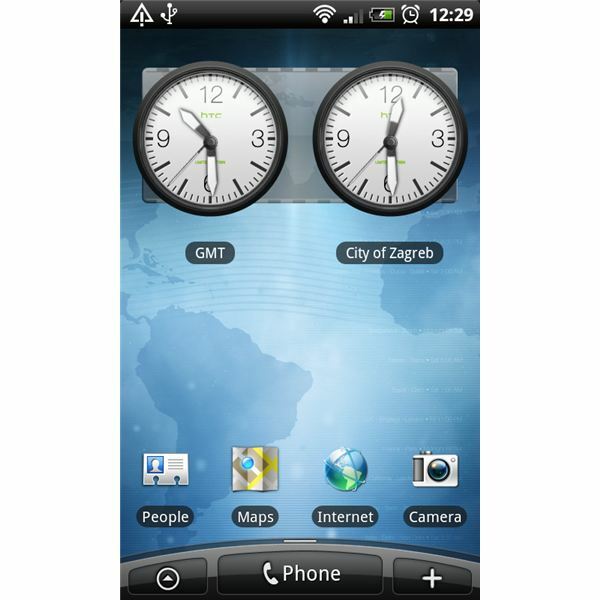 Especially ‘htcsense.com’ is a new, stand-out, feature as users will be able to remotely control their phone. This includes text message control, remote locking & wiping and contact, photo, and app management. With the new direction HTC made it is obvious for everyone to see that HTC Sense is evolving to a user environment that is here to stay.